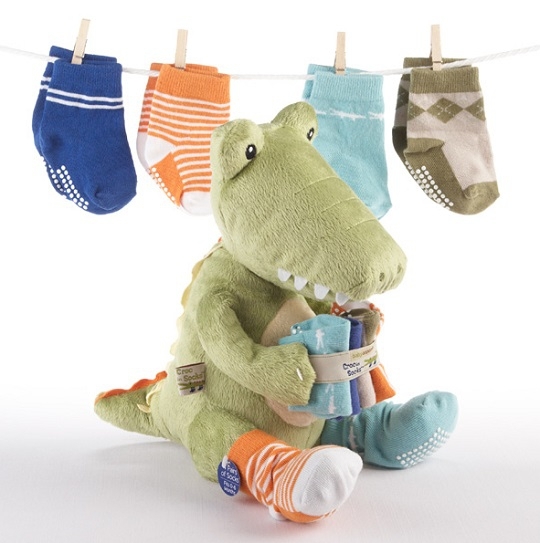 All the coolest crocs in the Everglades are sporting our super-cute socks, and this Croc in Socks is ready to deliver four pairs of our fabulous, slip-free socks to the new little guy in your life! Don't pass up the chance to cuddle a crocodile! 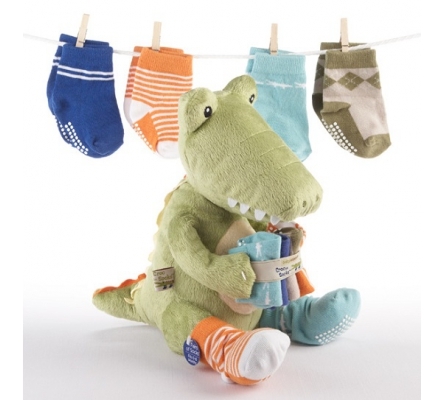 Croc's "feet" wear two different socks; their mates are part of the socks held in the croc's "arms"